Stablecoins are a dollar-denominated cryptocurrency. The supposed benefits are that you get the convenience of cryptocurrency (fast settlement, less regulatory hurdles, etc) with the stability of the dollar (or another fiat currency). This makes arbitraging between exchanges more convenient, for example, allowing for a more stable BTC price between exchanges. Generally, 1 token of the stablecoin (SteemIt Dollars, Basis, Tether, etc) is supposed to be worth $1. The rate fluctuates in the market as Tether’s traded as low as $0.85, but that’s supposed to be the exception, not the norm. Some are supposed to be able to be converted to USD directly like Tether. Others have mechanisms to change the value towards $1 should the token price go up or down like Basis. There are two types fully backed and algorithmic, and they’re both more or less centralized. Fully backed stablecoins have a fully reserved backing of the money in a bank. That is, for every $1 of the stablecoin that exists, $1 is in the bank. This is what Tether is purported to be doing. Algorithmic stablecoins have a market mechanism to change the price of the currency so the currency follows the dollar. Tether’s been stable for a long time. Apparently, the possibility that the Tethers are backed by USD in some bank is enough for it to trade at parity most of the time. 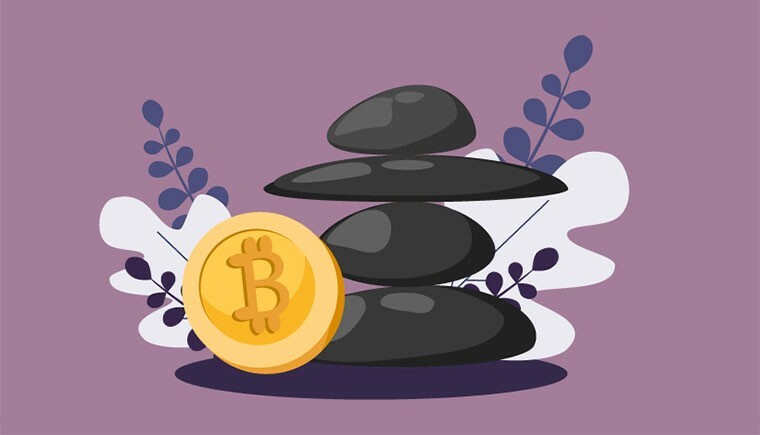 As with anything centralized there are additional risk factors that come into play that affect the stability of the fully backed stablecoins. For example, having the bank account seized would almost immediately make the actual Tethers drop significantly in value as they would no longer be backed. Secondly, the algorithmic stablecoins that try to keep the peg through market-based incentives fluctuate more often, and require peg-correcting buys/sells to kick in. Basis does this through bond sales and subsequent redemption. SteemIt Dollars does this through an automated buy/sell using some reserve SteemIt tokens. First, if the coin is fully or partially backed by dollars in a bank, the bank account can get seized. This can be due to a variety of things, including AML/KYC laws, socialization of accounts or any number of government actions. Second, there are a whole lot of other centralization risks. The custodians of Tether can embezzle the money somehow. The bank could close the account and cause a drawn-out legal battle. The dollars could be fractionally reserved instead of fully backed, in which case a bank run could cause the price of the coin to drop dramatically. Third, there are risks related to algorithmic manipulations. Bonds bought in Basis could expire without paying anything. There are software updates to consider and the centralized development team could introduce a bug that could ruin the monetary policy. Why can’t we have a stablecoin without risk? 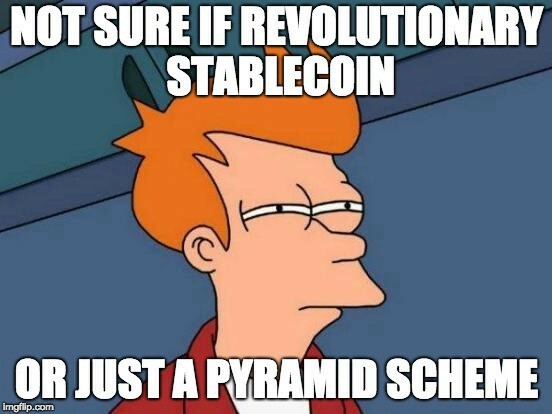 Clearly, a stablecoin to be stable needs to have #3. #2 is what makes a cryptocurrency useful. #1 is the only way that any of these stablecoins can make money. You can only have 2 of these three and for Bitcoin, #3 is what is sacrificed and hence the fluctuations in price. Stablecoins are trying to get all three and it’s usually done in a way as to hide the risk involved. Should I invest in stablecoins? If you have the ability to redeem stablecoins quickly and easily and trust the issuer, then stablecoins may be useful to you. In other words, if you don’t mind the centralization risk of a fully-backed coin, this is something that you may be able to use in lieu of dollars in your bank account. Algorithmic coins are a lot riskier as they are not fully backed and that means there’s risk of losing money simply due to market forces. Stablecoins are a centralized cryptocurrency that happens to be stable with the dollar. In that sense, it’s a lot more practical than almost every altcoin as at least there’s a peg to a lot of people’s unit of account. The fully backed coins are centralized, but at least it’s very clear that they are and they’re not pretending to be decentralized unlike so many altcoins.